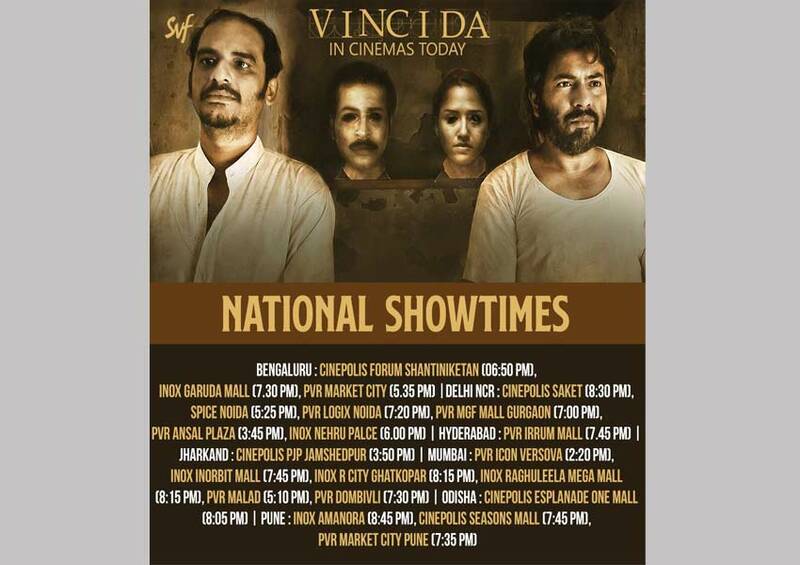 National Award-winning director, Srijit Mukherji’s long awaited thriller venture Vinci Da releases today across different cities in India surrounding much anticipation. The film released across various parts of West Bengal, Bengaluru, Mumbai, New Delhi, Gurgaon, Noida, Hyderabad, Pune, Bhubaneswar, Jamshedpur and few other cities. After 2014, Srijit Mukherji returns to the genre that he is ‘numero- uno’ in with a unique crime thriller revolving around an obsessed make-up artiste Vinci Da ( Rudranil Ghosh), who’s struggling to make his own place in the industry, completely on his own talent and capabilities. Although his father was a renowned make-up artiste, he somehow failed to make his mark and got no chance anywhere even though he was highly talented. On top of it, his straightforwardness and arrogance resulted into him insulting three big personalities of industry which made the situation worse. When his life was going haywire, Aadi Bose (Ritwick Chakraborty), a serial killer, entered his life and changed it forever. Directed by Srijit Mukherji, the film also stars Sohini Sarkar, Anirban Bhattacharya in pivotal roles and the music has been composed by acclaimed musician Anupam Roy. The film releases nationwide today (12th April 2019).